With the introduction of Gutenberg, creating and formatting content on WordPress has been made easy, unlike the formal editor that requires the addition of two or more plugins to format a page or create a post. The WordPress Gutenberg editor will help both developers and users without experience in coding to create world-class websites. 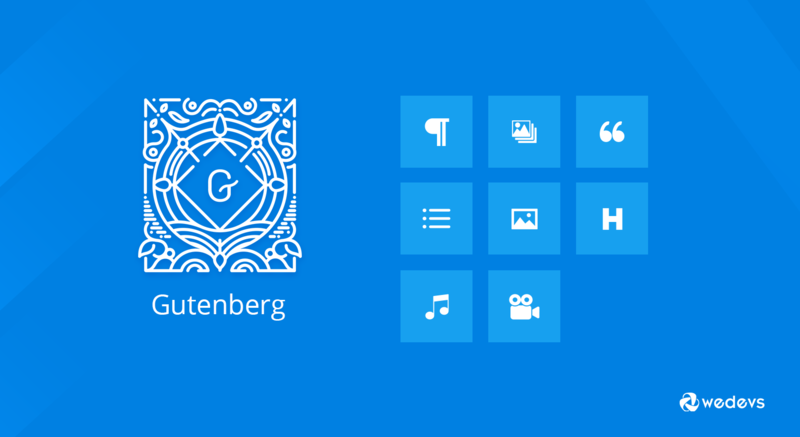 Gutenberg is one of the best things that happened to WordPress since its creation. In late 2018, WordPress introduced a new update, which is WordPress 5.0. WordPress 5.0 is a major change to WordPress since its creation. This update was all about the change in WordPress editor. It was the beginning of the WordPress 5.0 series which comes preinstalled with Gutenberg as it's default editor. Gutenberg has been around for a while as a stand-alone plugin with the introduction of the 5.0 update, it became a core part of WordPress. This update gave the content creation on WordPress superpowers. If you are still wondering what a Gutenberg is let me take a minute to explain one of the greatest updates to WordPress since the launch of WordPress. The Gutenberg is a WordPress Editor that replaced the old Classic editor that has been in use for a long time. It gives users the combination of a builder and editor all in one. Gutenberg allows users to add content blocks and page builder features to pages or posts on WordPress without installing a separate plugin. These functionalities come inbuilt in WordPress 5.0. This WordPress block editor has a totally different user interface from the old WordPress classic Editor. The WordPress Gutenberg editor is designed to produce a more dynamic and comprehensive page building and post writing experience which provides more flexibility and control for users when editing a page or post. Before we dive into it, It would nice to do some comparison between the Old Classic Editor and The Gutenberg. Looking at the two different editors, the old classic editor uses a text editor interface in formatting text while the Gutenberg use blocks to create different layouts on the page. The Block type is systematically categorized in a way that allows you to easily pick a block. 1. Add Block Button: This button is used to add new blocks to your content. Have a look at below image. 2. Undo/ Redo: This allows you to go a step forward or backward that is to undo and redo a change. 3. Preview and Publish: The Preview is used to display what your post will look like while the publish button allows you save and publish your page or post so it is available to the public. 4. Document: This is the settings area, this tab allows you to toggle to and from the document settings and make changes. 5. Block Setting: This can be used to set up or format a particular block that was selected. Now, go ahead with the 15+ helpful tips and tricks for WordPress Gutenberg editor to skyrocket both of your site and project! We all love keyboard shortcuts. Shortcuts are designed to make life easier, faster, increase speed and efficiency. The shortcut menu can be found by clicking the ellipsis on the right corner. Even though universal shortcuts like Ctrl C, Ctrl V, etc works, however, Gutenberg has its inbuilt shortcuts which allow you to activate certain functionalities within the editor. The Gutenberg offers users multiple view options that allow users to navigate, change a view to suit their preference. To change a view, kindly click on the ellipsis in the top right corner of the page, On hover click on more, which gives you options to select the different view. Select the best view that suits your choice. This feature allows you to access all block and document in a single place Spot. This option lets you have the toolbar at the top of the editor. Spotlight mode allows you to focus on one block at a time. This mode highlights the block you are currently working on and fades the block that you are not working on. This mode allows you to work without distraction by removing unnecessary menu items from the page. It allows you to expand the editor on a fullscreen mode by removing or hiding the WordPress admin menu on the left-hand side. Depending on your preference, you can set the best viewer to the option that suits you. You should try the different view options for the best WordPress user experience. Getting some particular block can sometimes be difficult. This allows you to quickly and easily search for a particular block using the search option. Just like the Classic Editor, the Gutenberg also allows you to switch between and code and the Visual editor, This is useful for advanced and technical users who may want to add some extra code to the page. There is the conventional way of adding blocks to your posts or page, but there is a much easier way to quickly add blocks to your posts. The Gutenberg also allows you to drag and drop images from any directory in your PC directly to theWordpress Gutenberg editor at the exact place you want it to appear. Instead of inserting a new block for every content you create, you can save lots of time by converting a block to another block type. For example, you can transform a regular text into a heading, quotes, lists, preformatted text. You can also convert other block types into a similar or related block. Related Article: Check out the comparison to get the best CMS platform. Use Drag and Drop To move contents around the page. If you need to move an item from one point to another. This is where the drag and drop come in handy. One of the easiest ways to move contents around is using the drag and drop feature on Gutenberg, unlike the old editor where you can only copy and paste. Gutenberg editors allow you to move items from the page using drag and drop. This is the info icon on the top left side of the page. This provides a general overview of the content on your page which includes, the word count, the number of heading on the page and the different kinds of heading, paragraphs, the total number of blocks and the summary of the entire block layout. Gutenberg allows you to add shortcodes to your page by inserting the shortcode block which can be found in the block menu. Gutenberg allows you to be more creative with your content layouts. It offers a multi-column functionality that makes creating multi-column now possible with the Block editor, unlike the Classic editor where creating columns on your page was nearly impossible. This block allows you to add up to 6 columns on your page. You can also click on the block ellipsis, then click remove Block. This feature allows you to create block templates that you can reuse anytime that is you can a configuration blocks layout for a content type that you may need to reuse in the future. Instead of creating it all over again the next time it is needed, Gutenberg allows you to save it as a reusable block which call be recalled at a later date. To set a reusable block template, Highly all your blocks by selecting all the blocks in the layout like you would do when highlighting texts to copy. Then click the three dots icon for options. Click Add to Reusable Blocks. It will display a pop up prompting you to give the block template a name. Enter a descriptive name for your new block and click save. Now that you are equipped with some of the best tips and tricks to build a world-class WordPress content using the Gutenberg, have fun while creating those awesome contents. The Gutenberg will experience lots of updates in the future of WordPress editor will be largely dependent on the Gutenberg. Just like Johannes Gutenberg revolutionalize the printing press, the WordPress Gutenberg editor has changed the way we create content forever. WordPress has proved once again that they are highly capable and have what it takes to still be a leader in the CMS Industry. Bonus point: Do you know you can build your dream multi-vendor marketplace with Dokan? Click the link below to give a try. It's free! This post is written by Olorunleke Adelaja. He is a digital marketing executive with experience in online branding, Social media management, and content writing. When i install a new wordpress first thing i do is install classic editor or disable gutenberg plugins. The worst thing happens to wordpress is gutenbug editor. This gutenburg editor thing not fit to wordpress. I tried to read your blog post but i get tired to understand what the gutenberg thing is, as usual. I hope gutenberg editor will die near future like all unsuccesfull attempts..Like google plus google inbox..etc..
Long live wordpress classic editor.